This baseball season I had the pleasure of attending the 2011 Pittsburgh Pirates Home Opener vs the Colorado Rockies. It was a beautiful spring day, people arrived early for tailgating and fans were eager for the afternoon game to begin with an always high hope and faith true sports fans have for their home town team. 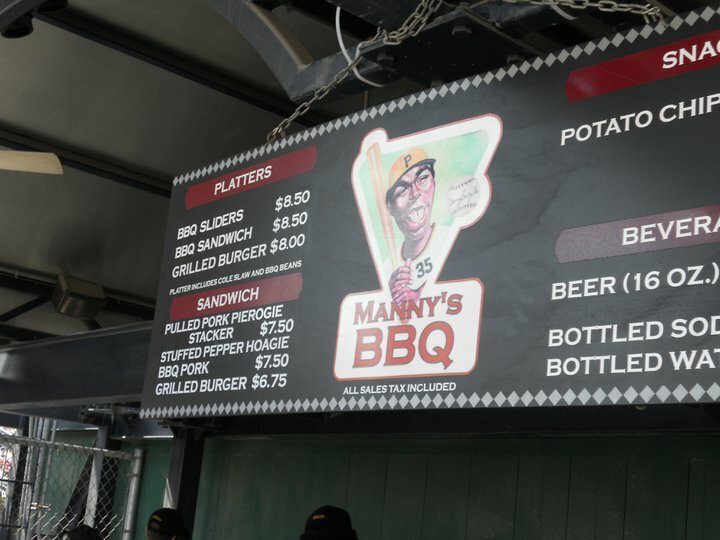 While at the game I decided to take a walk around beautiful PNC Park where I came across a BBQ food stand on the outfield river walk called Manny Sanguillens. You can’t miss it, the barbecue grill fills that end of the stadium with delicious smells and smoke that a typical BBQ would bring. On the menu at Manny Sanguillens, they have a sandwich that was absolutely amazing called the Pulled Pork Pierogi Stacker served on a salted bun. The sandwich itself is $7.50, which includes that Tax and is a very good deal since it filled me up to last me keeping me happy for the rest of the ball game. 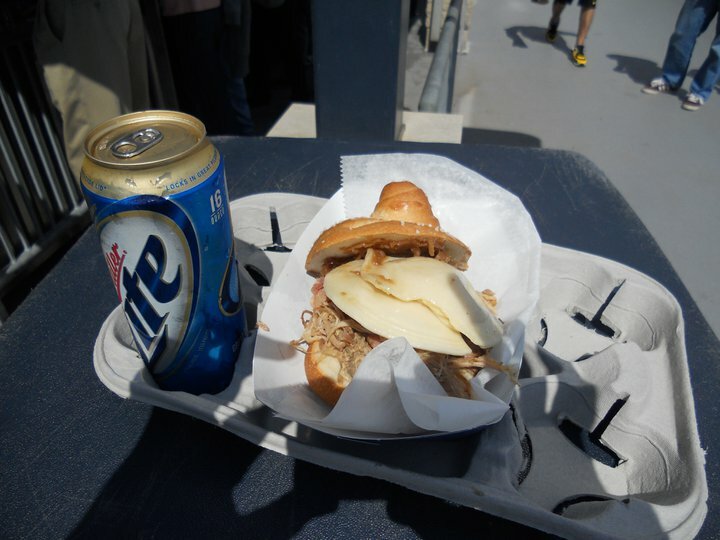 The Pirates may have lost the game, but PNC Park has a winner with this amazing sandwich! Go give it a try! Next Good Morning New York City!